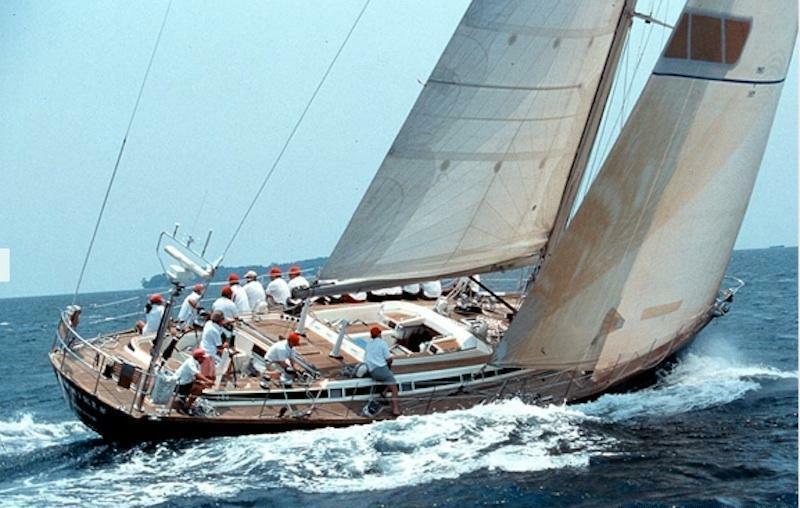 Sailing yacht IRVMIREN was delivered by well-known Nautor Swan in 1993 and underwent a refit in 2011. 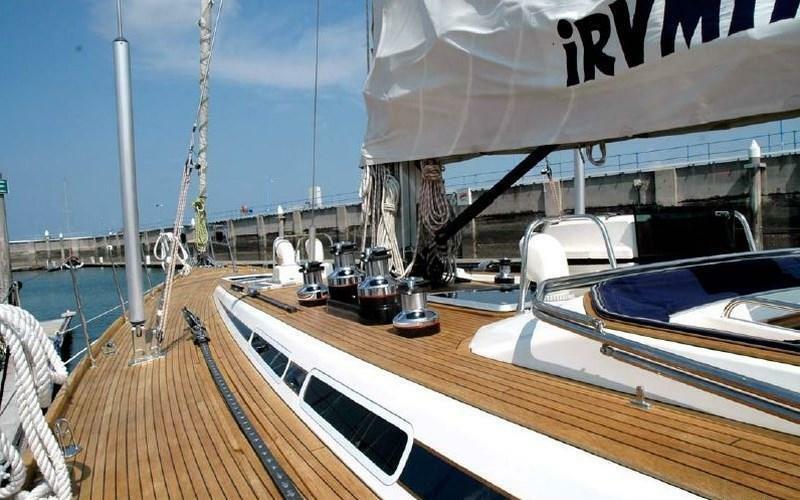 S/Y IRVMIREN measures 21.3m (70ft) and offers accommodation for up to 8 charter guests in 4 air conditioned cabins. 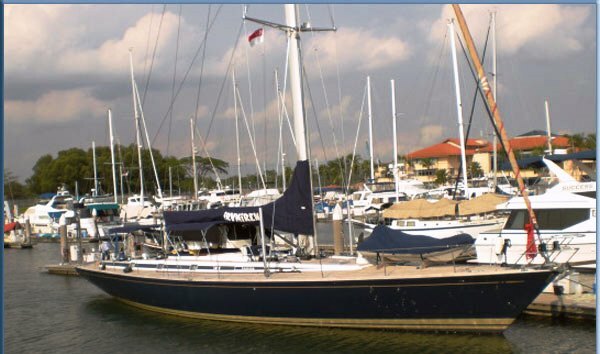 The yacht is managed by a dedicated crew of 2 and is available for charter in South East Asia year round. 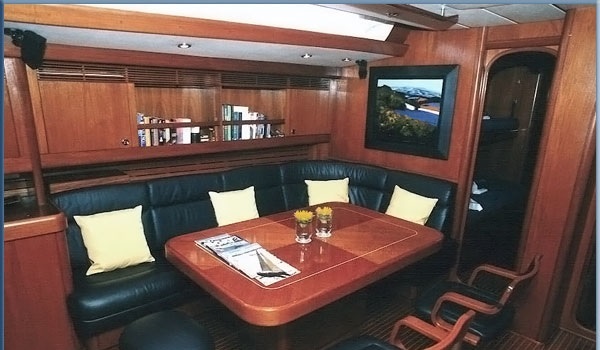 Crewed charter yacht IRVMIREN has a contemporary interior featuring warm wood panels, teak and holly floors and crisp white soft furnishings. The salon and dining are an open plan. The formal dining table and U shaped sofa is to port and offers an extendable table, ideal for buffets. 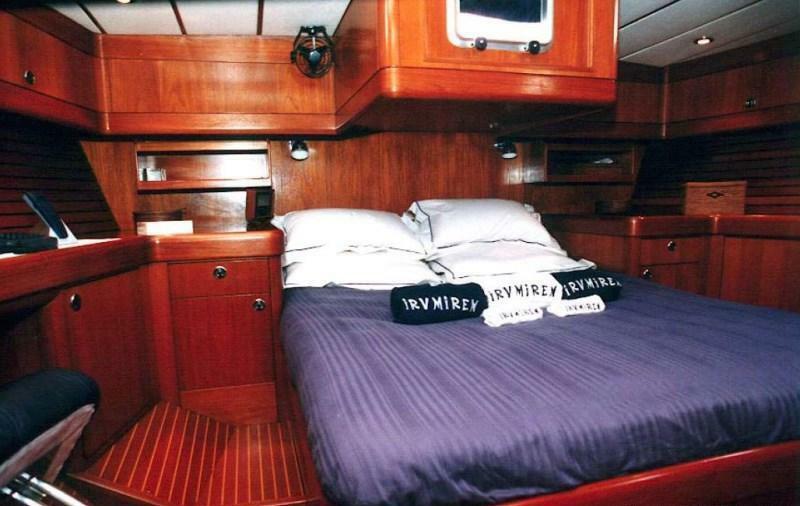 On the starboard side is further relaxing seating and a full entertainment system. Guest accommodation is fore and aft of the salon. 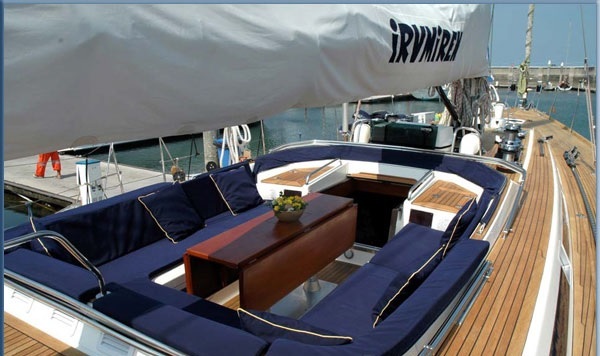 S/Y IRVMIREN has plenty of exterior decks to enjoy. 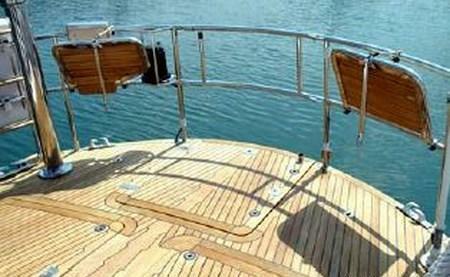 The main cockpit is generous and boasts an alfresco dining option, wrap around seating, a removable Bimini cover and is free from running rigging. 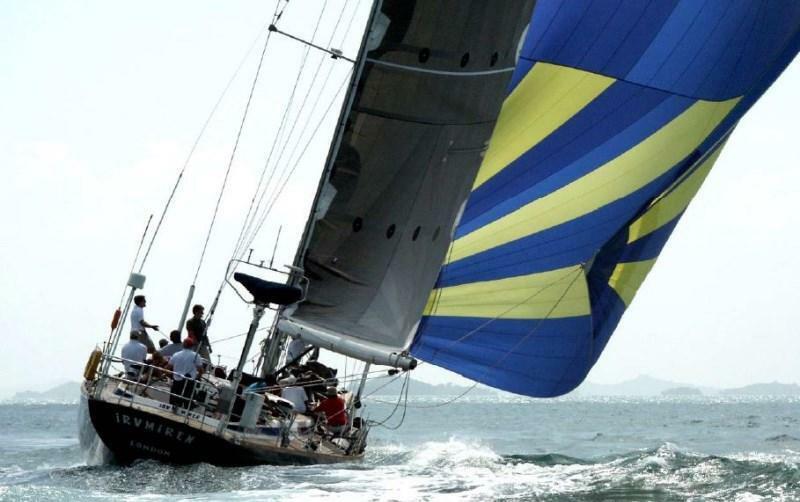 The design of the yacht is perfect for those wishing for a relaxing cruise or the more seasoned sailor, seeking a little excitement. 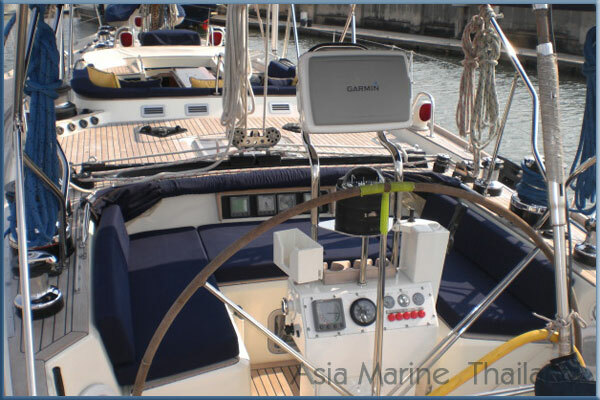 Sailing yacht IRVMIREN has a second cockpit aft of the main cockpit for the helmsman, where all the action takes place. 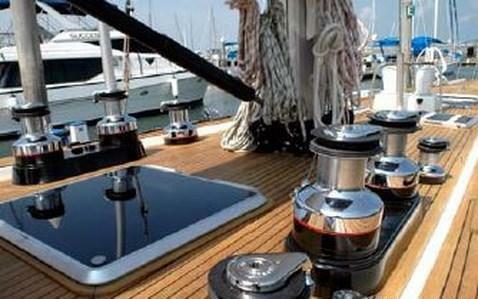 Further exterior decks are wide and easily access the aft and foredeck. 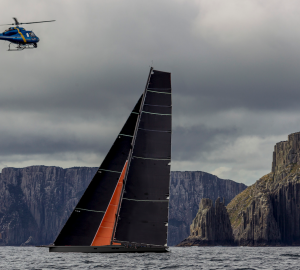 Nautor Swan sail yacht IRVMIREN has a beam of 5.5m (18ft) and a draft of 3.6m (12ft), she is powered by a single Perkins engine and is capable of speeds ranging from 8 – 12 knots. 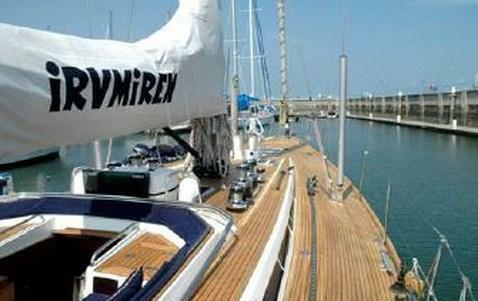 The IRVMIREN sailing yacht can accommodate up to 8 charter guests in 2 double and 2 twin cabins. 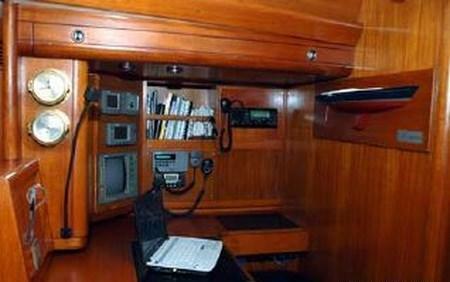 The master cabin is aft and full beam of the yacht with a double bed, 2 desks and en-suite facilities. 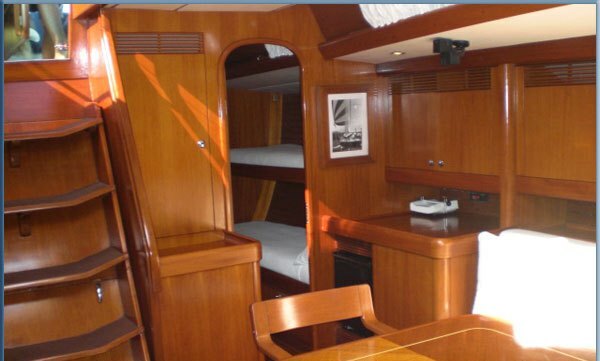 A double cabin offers a double bed and upper Pullman berth with en-suite facilities. 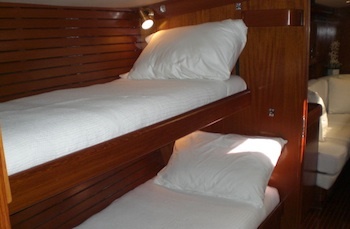 A further 2 cabins have upper and lower bunks, one with an en-suite facility, the other has shared facilities. 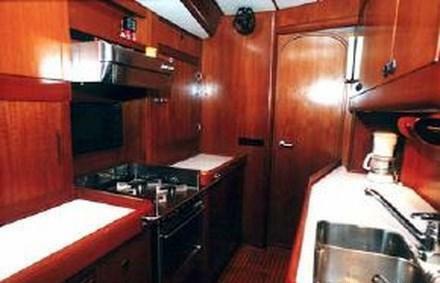 The crew of 2 has separate cabin space forward, with private facilities. Yacht IRVMIREN has a Tender with 25hp engine, Kayak, Fishing gear, TV/DVD in salon, IPod hook up, Air conditioning throughout, Hydraulic swim platform, BBQ, Bimini cover, Water maker.